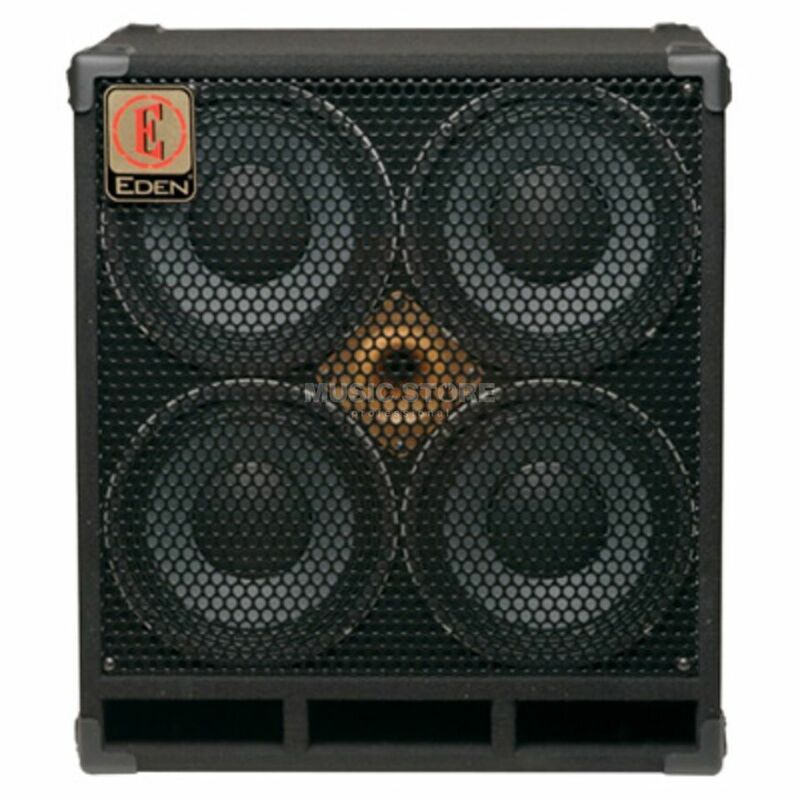 The Eden D410XST 8 Ohm Bass Guitar Amplifier Speaker Cabinet has been designed to perfectly compliment any Eden amp head and provide the highest fidelity bass guitar tones possible. The Eden D410XST features four Eden designed 10” speakers, rated to handle 1,000 watts at 8 Ohms, and a centre-mounted high frequency horn that are all housed in a high quality professional cabinet. This setup produces an amazingly detailed and powerful bass tone with incredible focus and clarity. The cabinet of the Eden D410XST, or eXtra Smooth with Tweeter, has been specifically tuned and ported to produce a powerful low end that is noticeably smoother than other products in the Eden range. The tweeter and crossover controls have been designed to allow for the perfect level of definition to be easily dialled in.